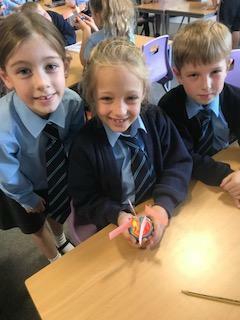 An afternoon spent getting creative! 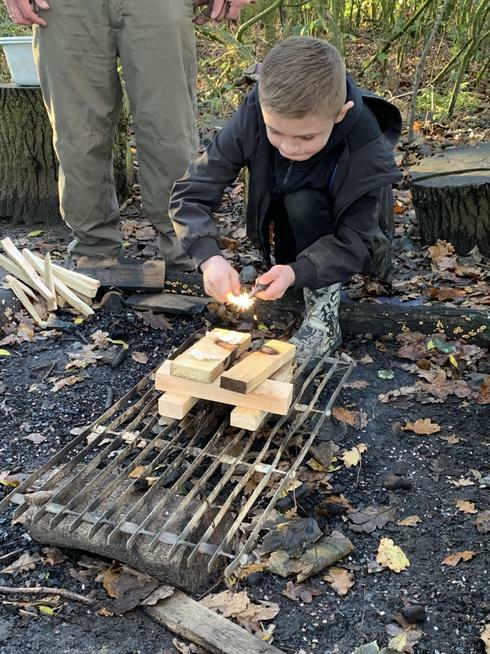 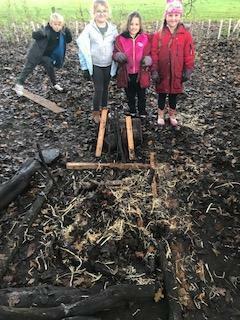 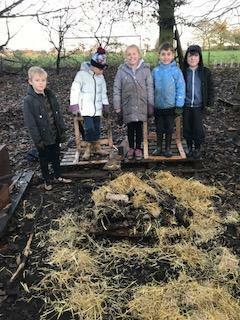 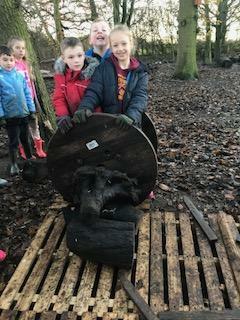 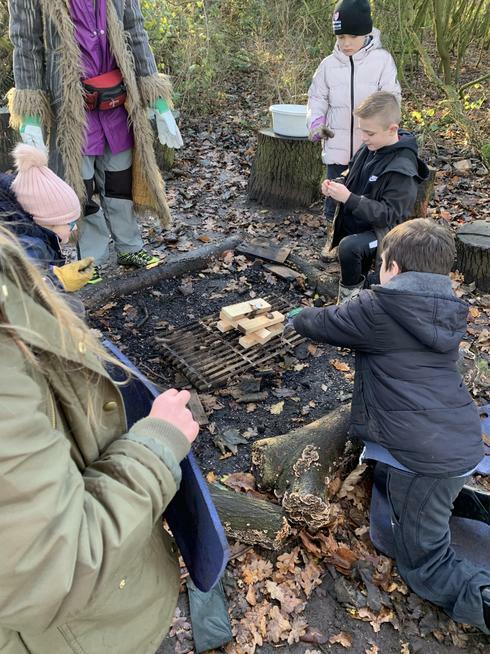 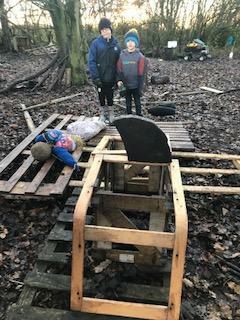 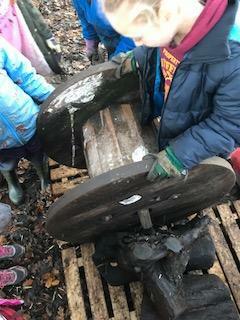 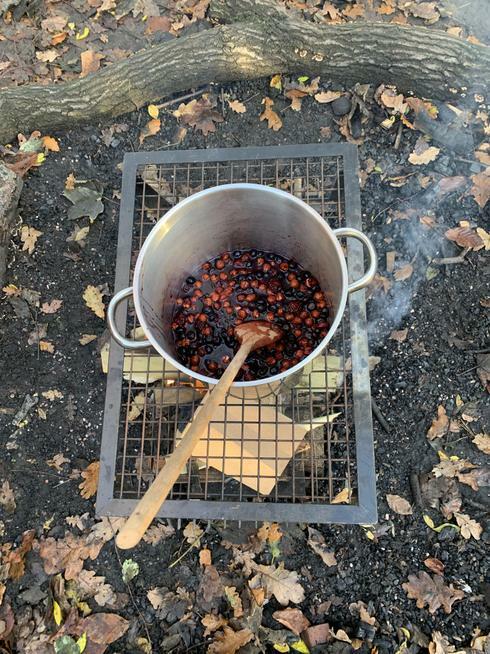 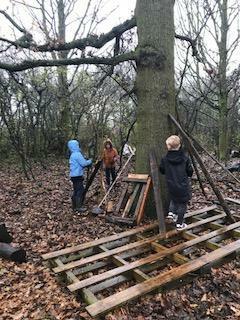 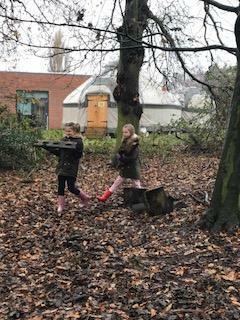 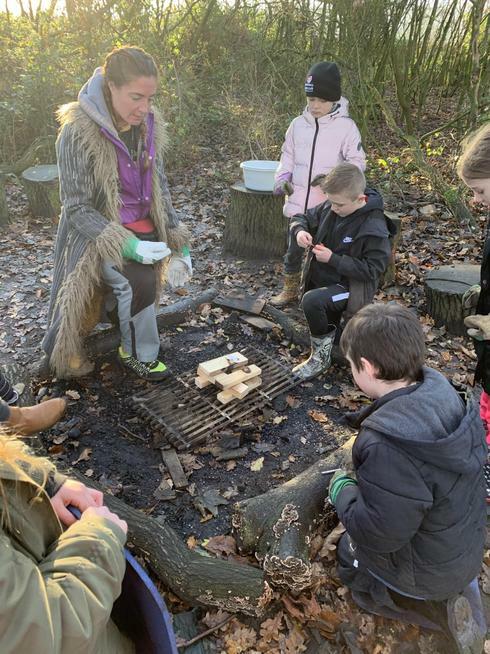 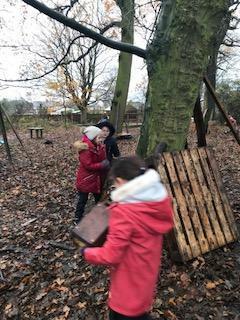 What a day we have had - wet and cold - using nature to help us learn. 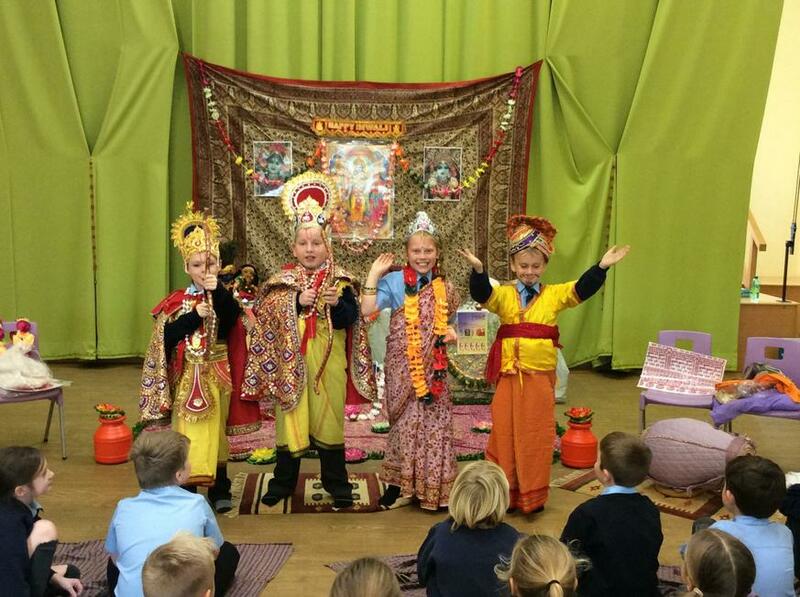 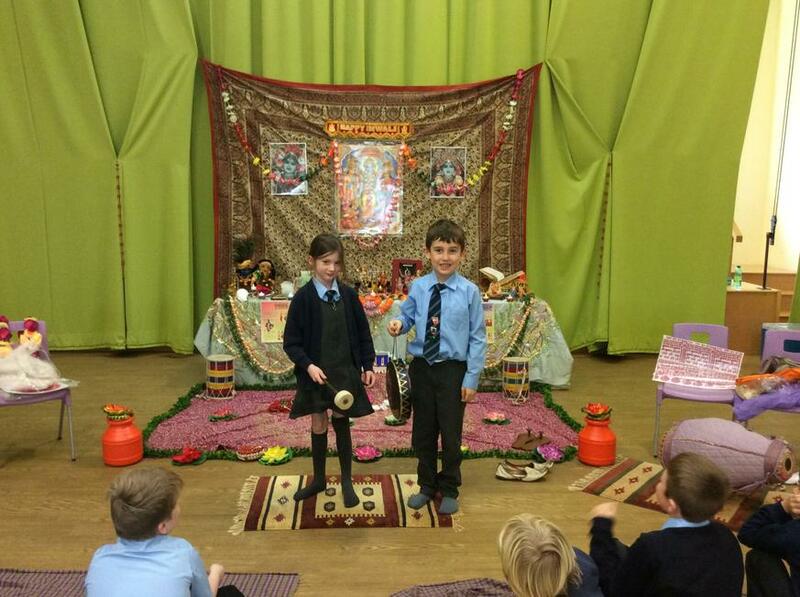 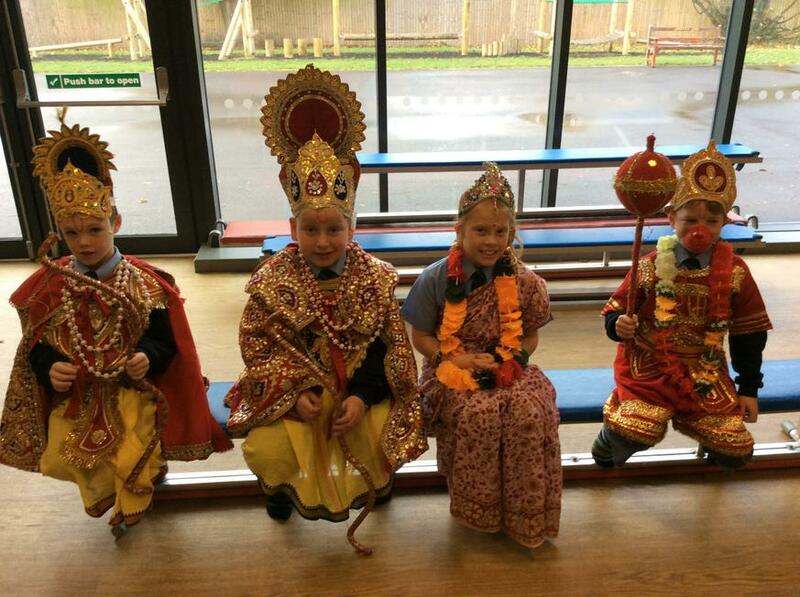 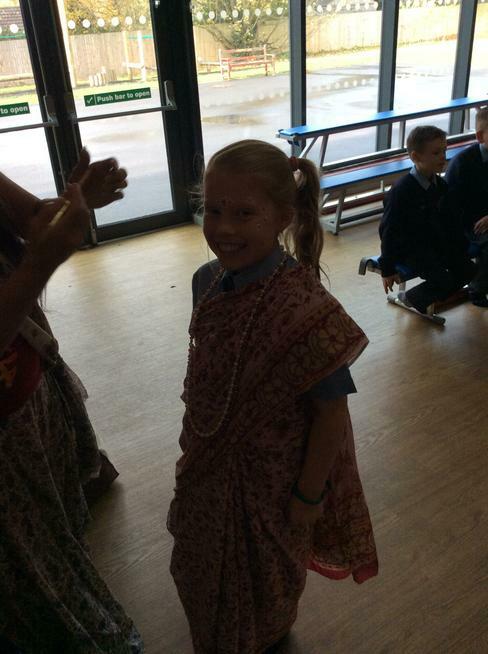 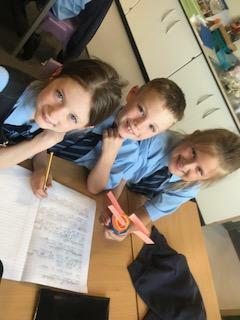 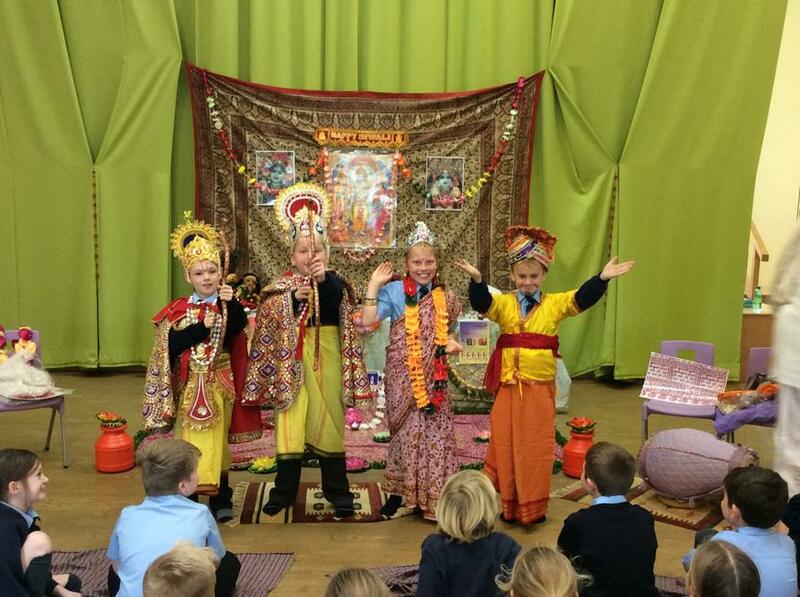 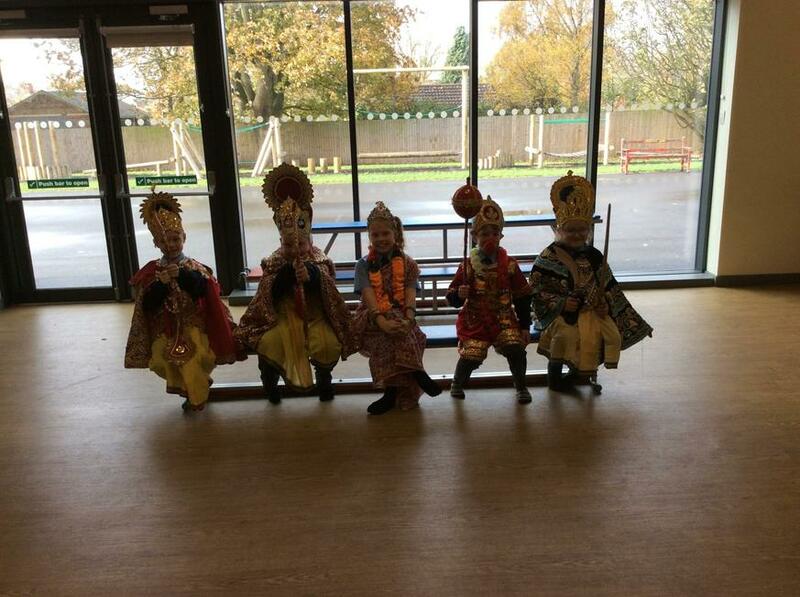 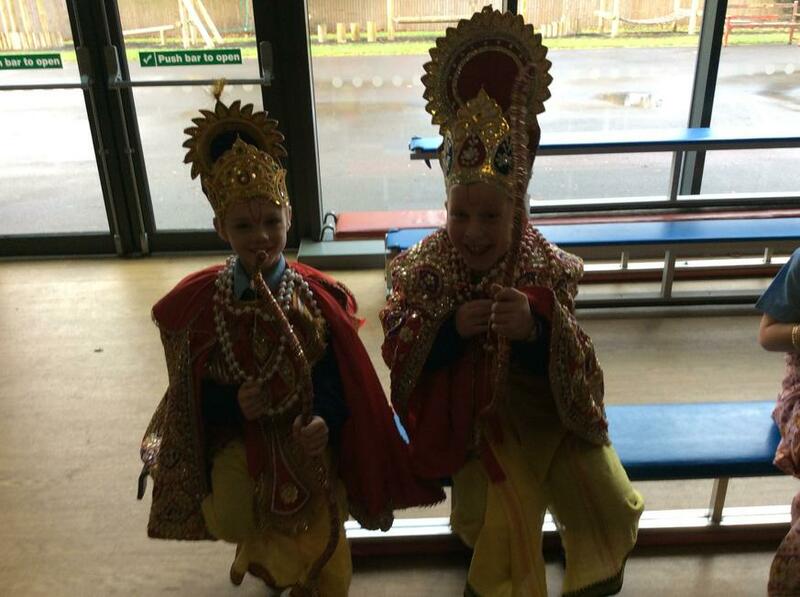 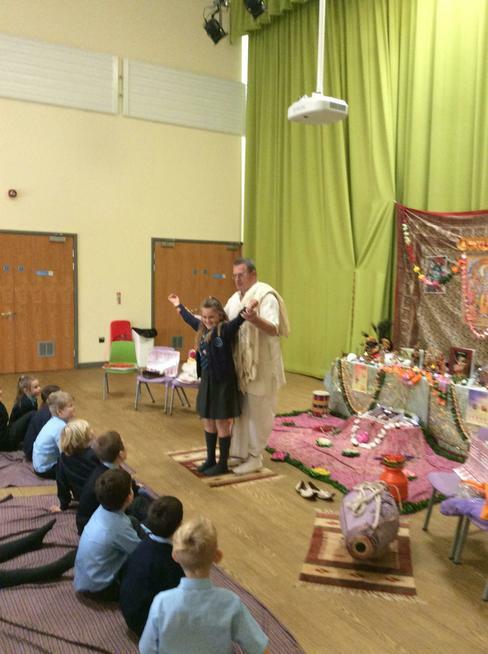 We spent the day delving into our Tribal Tales topic. 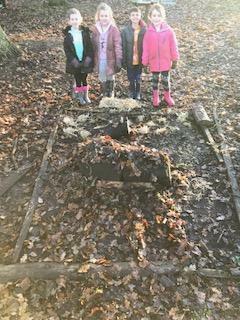 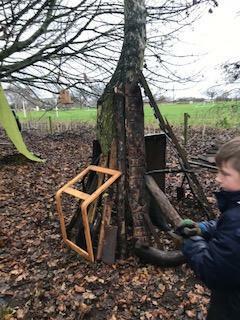 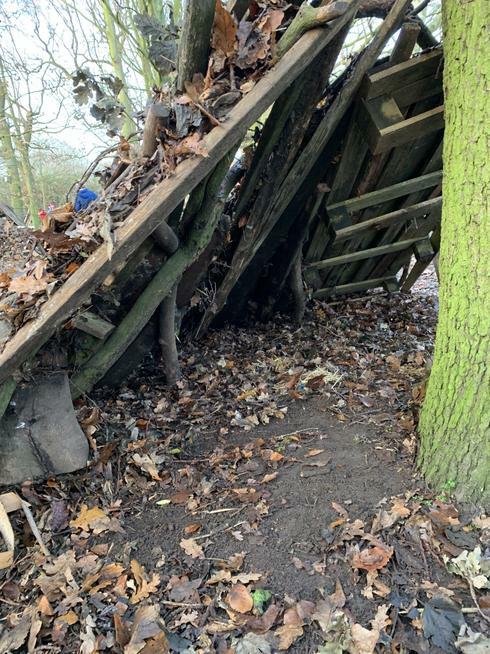 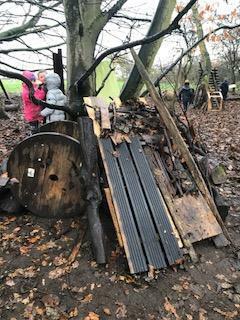 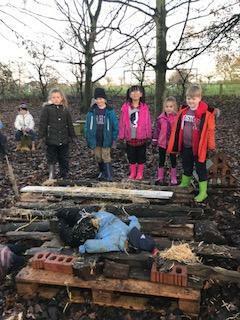 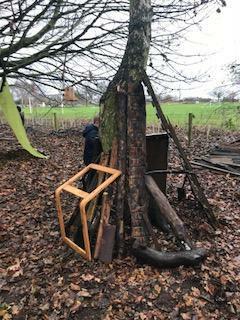 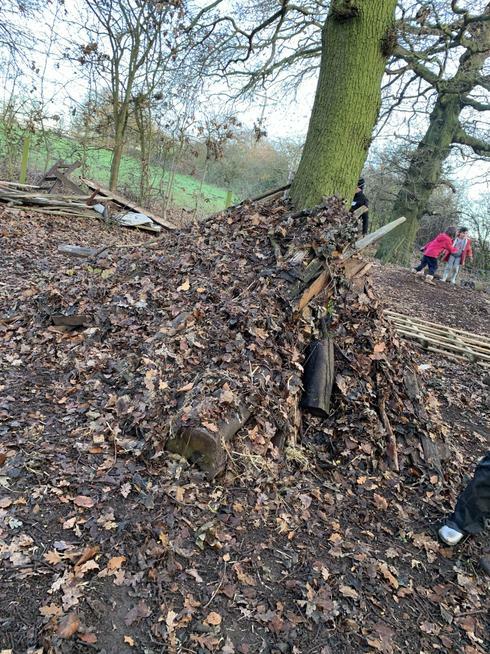 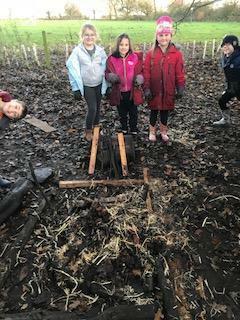 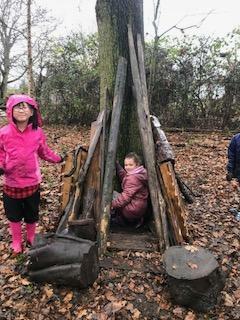 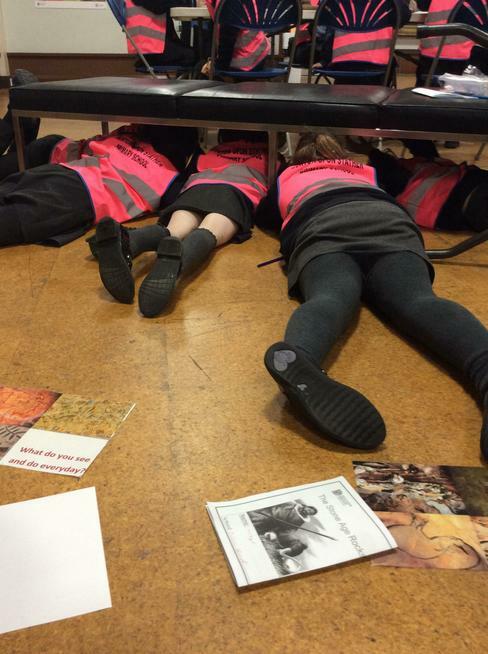 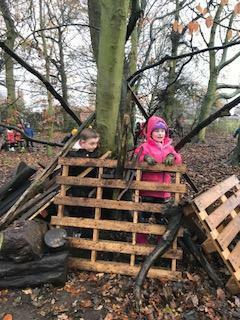 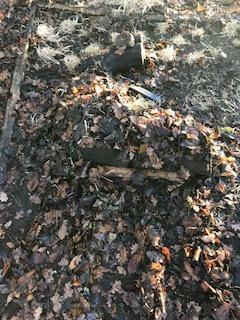 We built shelters using all the resources available to us pretending to be back in the Stone Age. 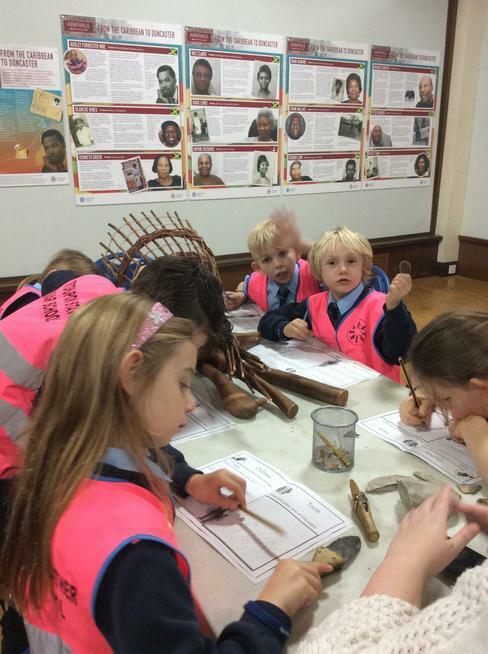 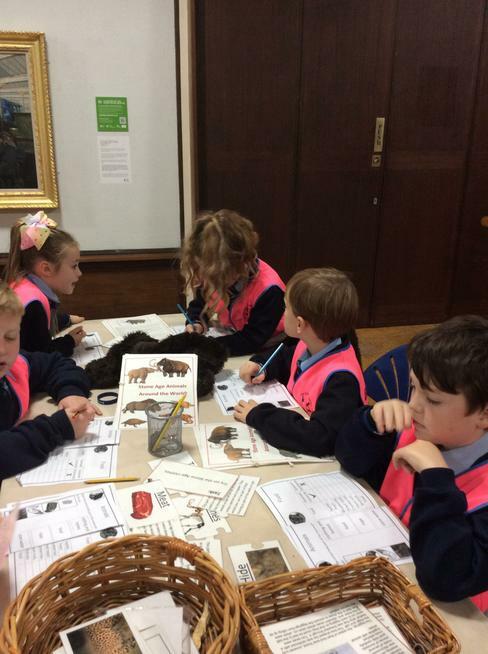 The afternoon saw us exploring the beauty of cave paintings, their history and stories told. 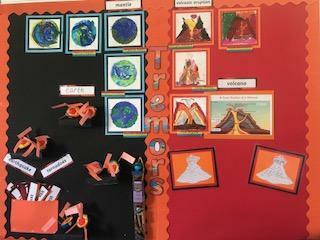 We put our hands to sketching our own and then working as teams to recreate these on a big scale. 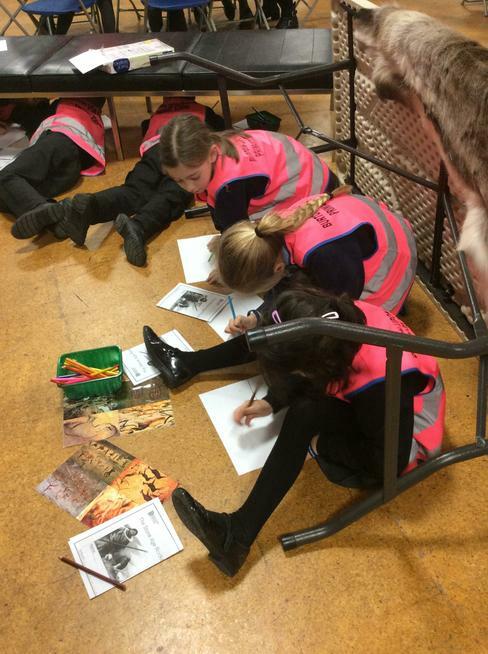 We used logs, crates, leaves and everything else nature had to offer to depict scenes found on cave paintings. 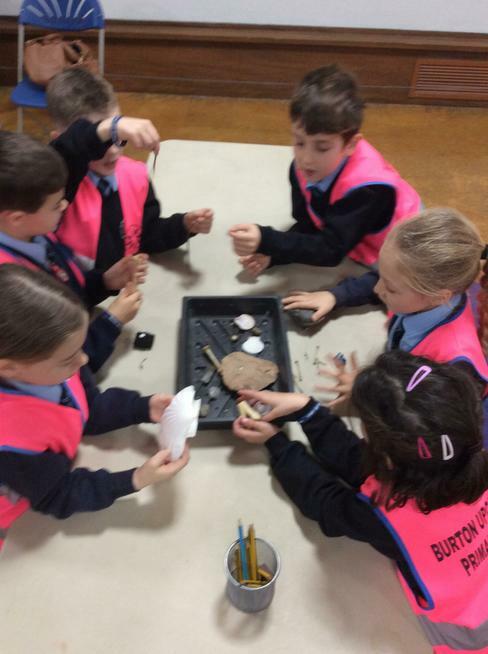 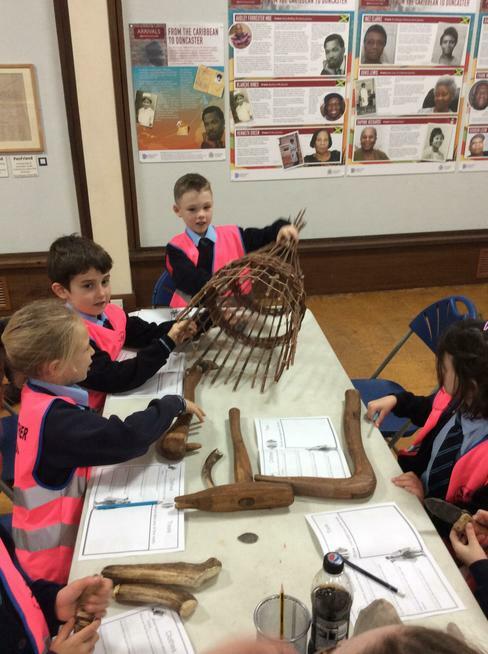 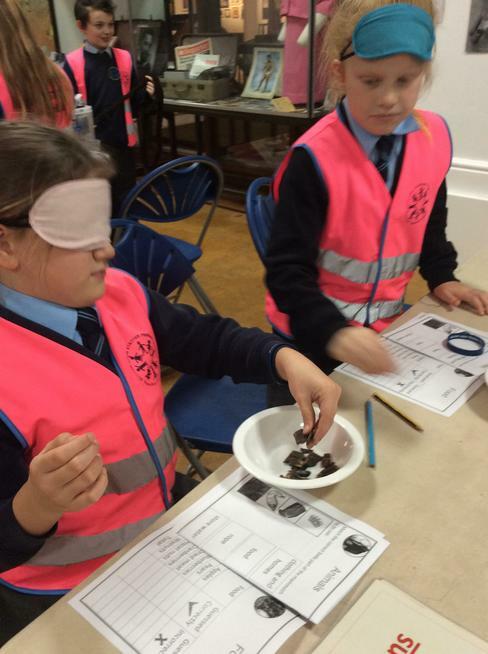 Amazing trip to delve into The Stone Age! 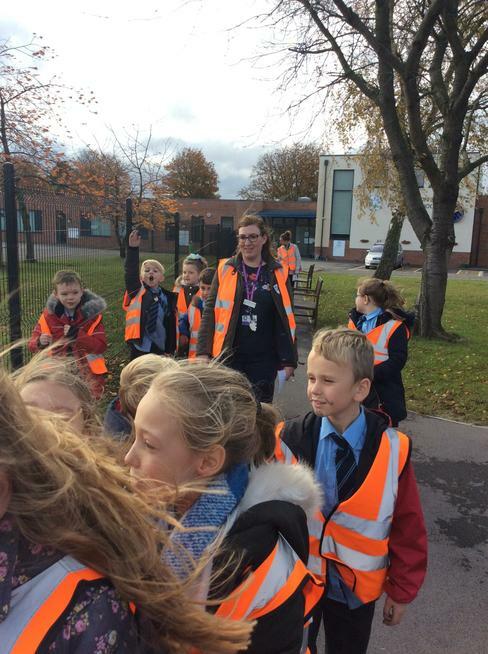 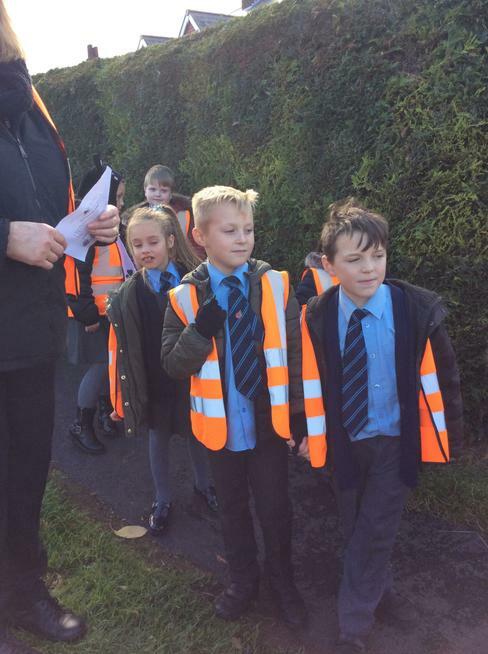 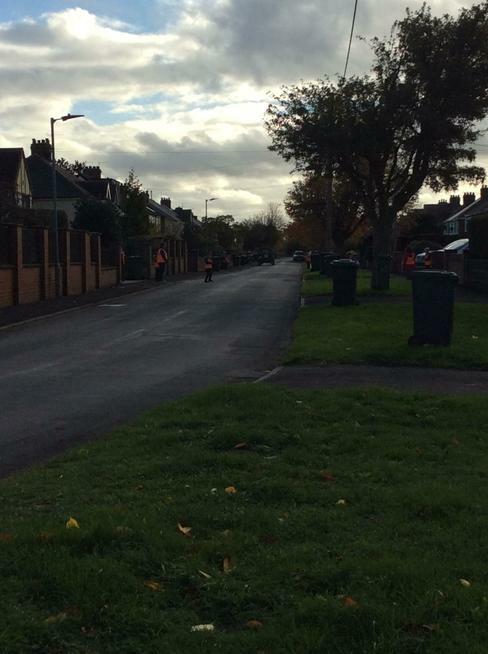 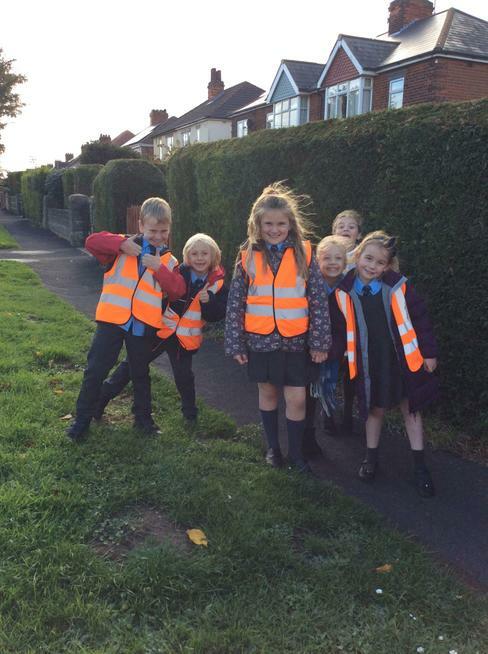 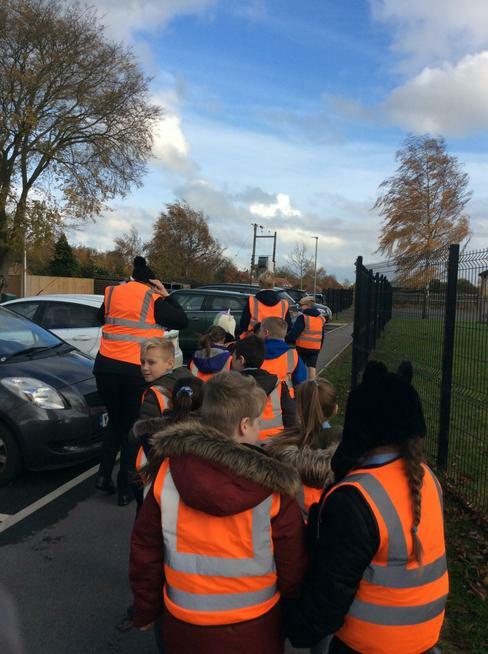 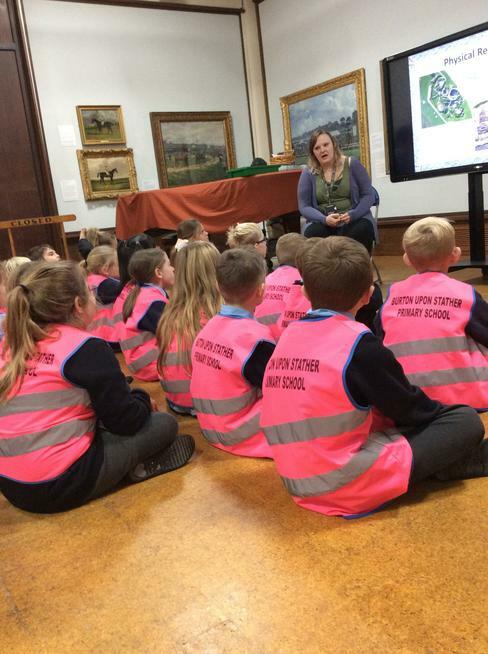 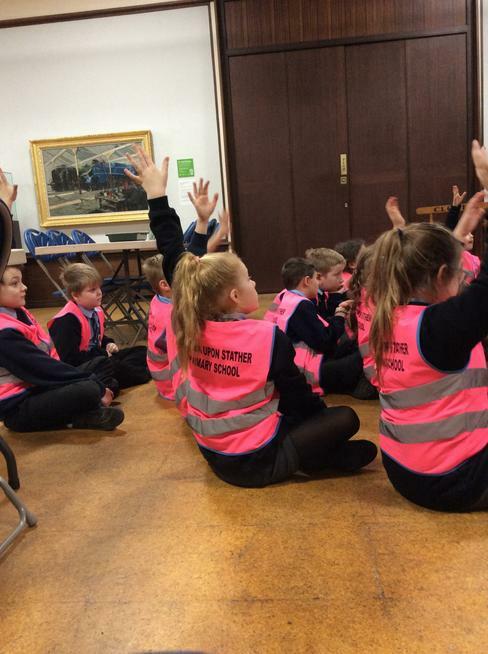 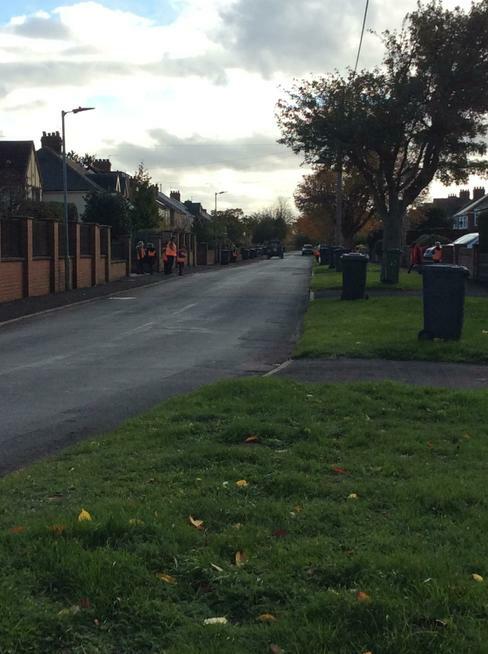 Year 3’s first day of pedestrian training.... experts already!!! 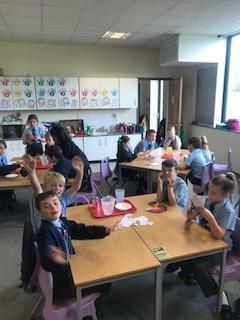 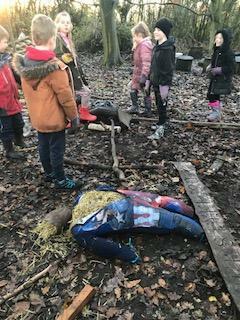 What a fantastic, active afternoon had by Year 3. 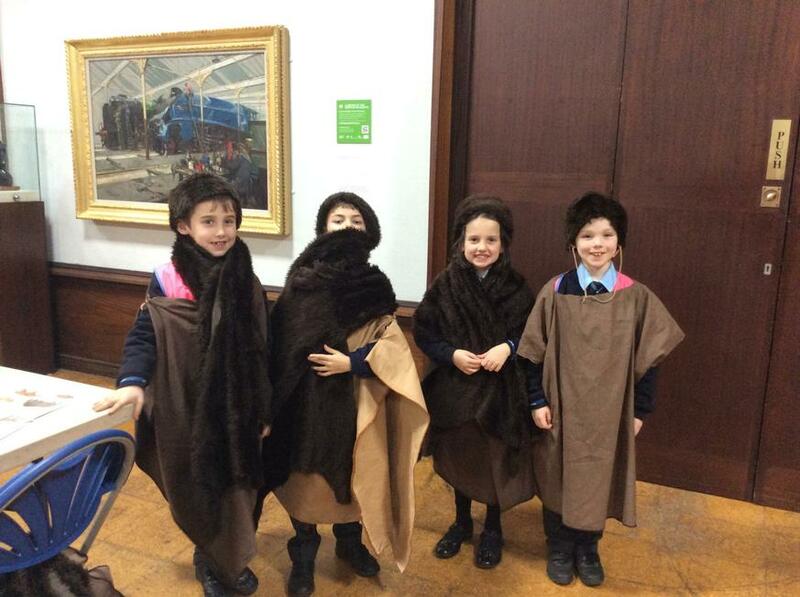 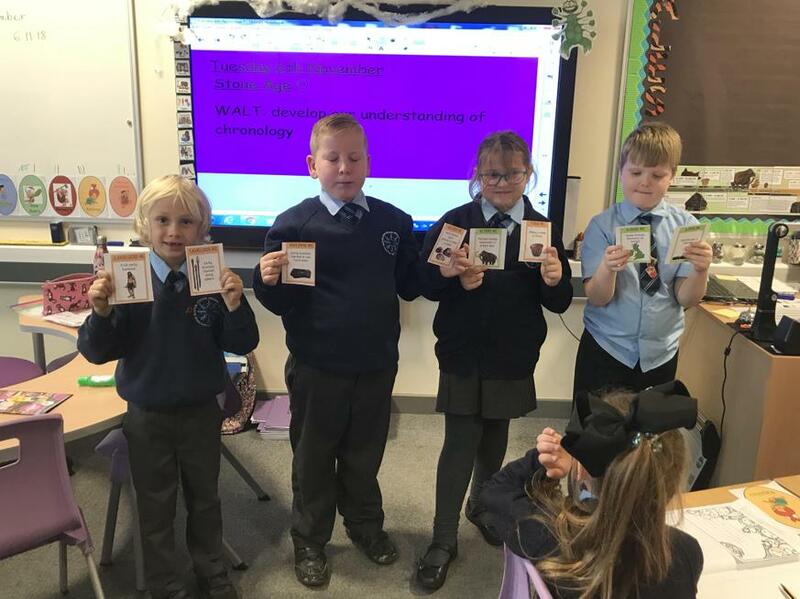 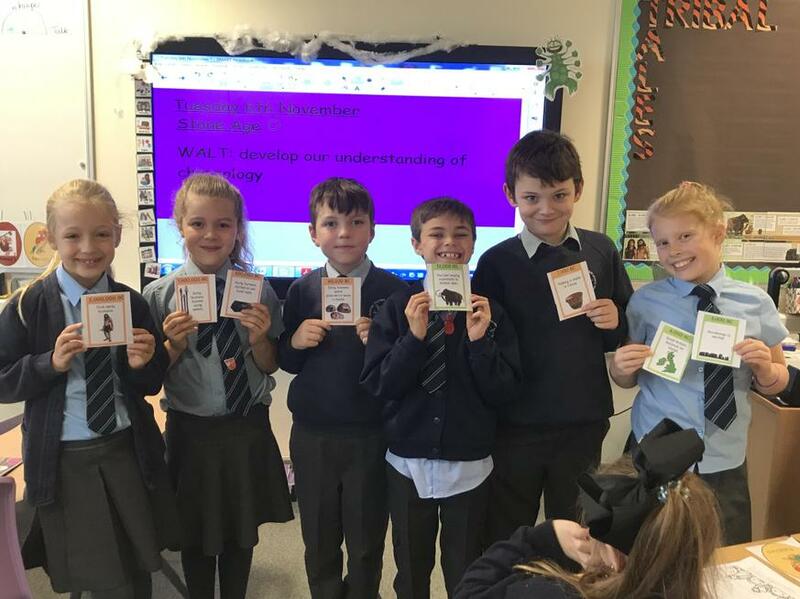 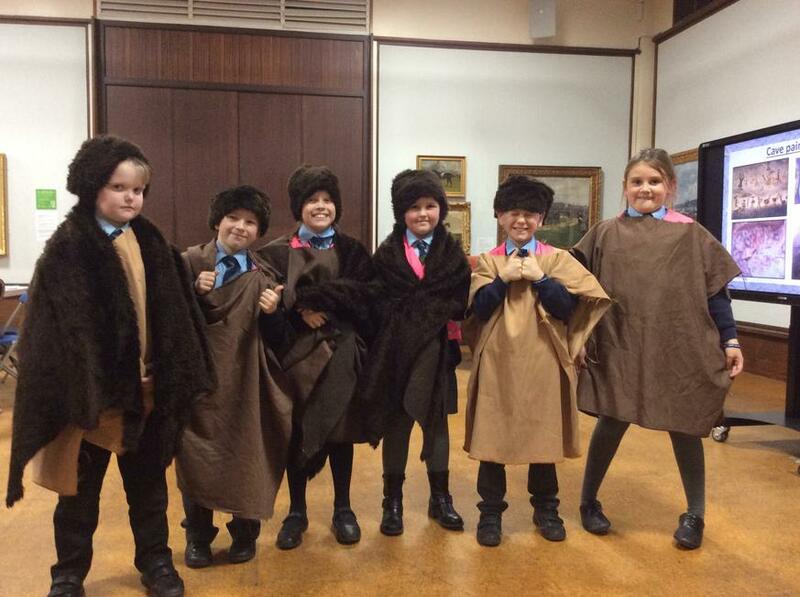 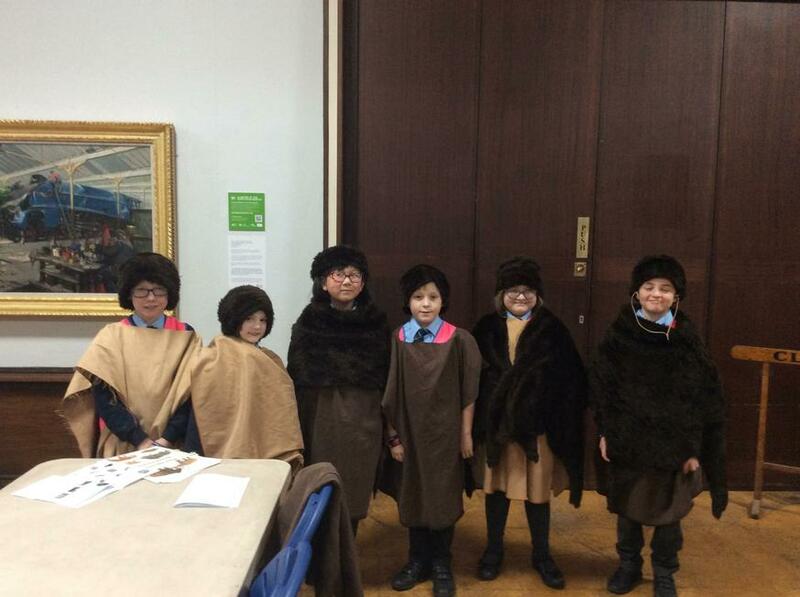 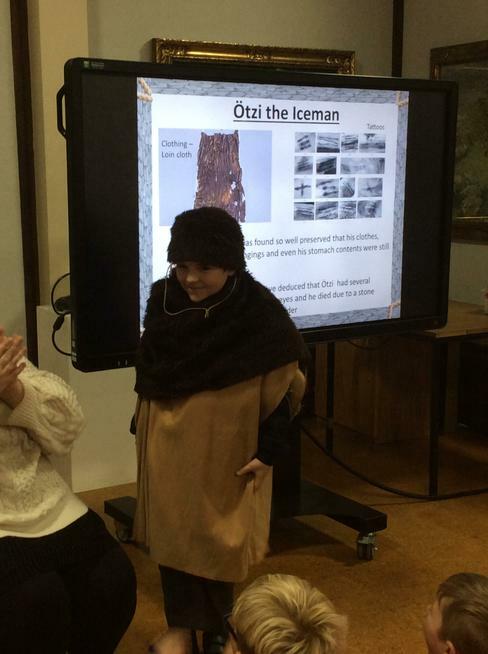 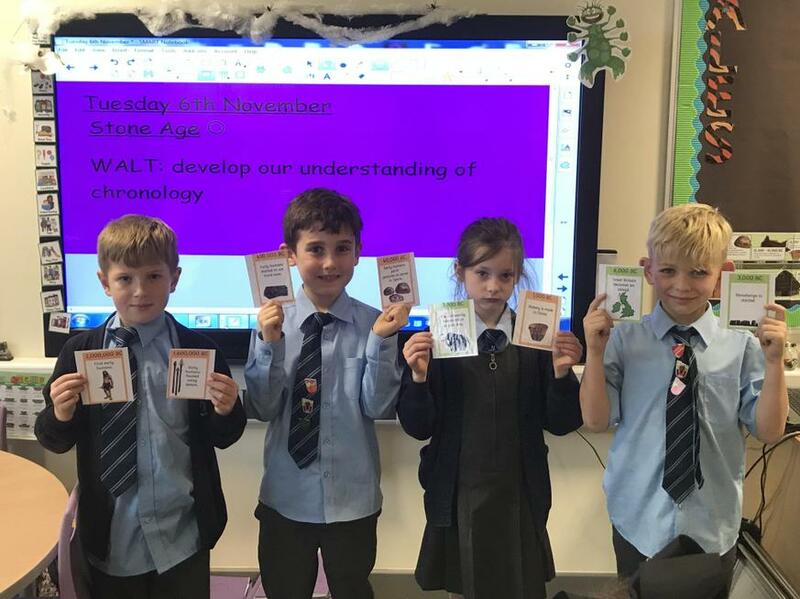 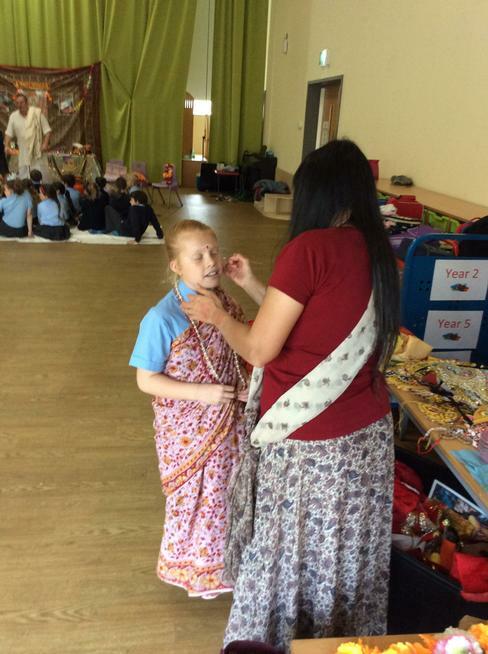 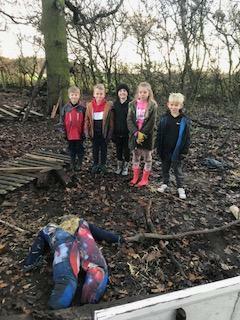 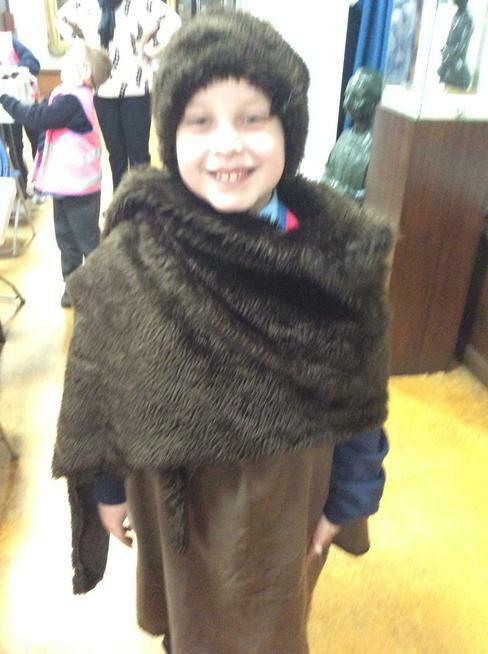 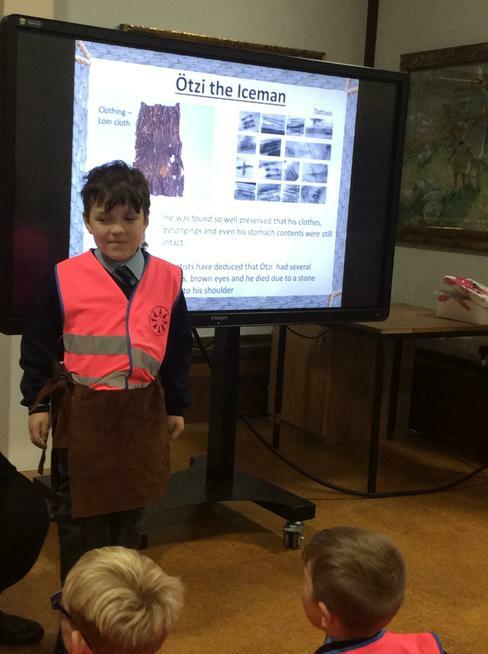 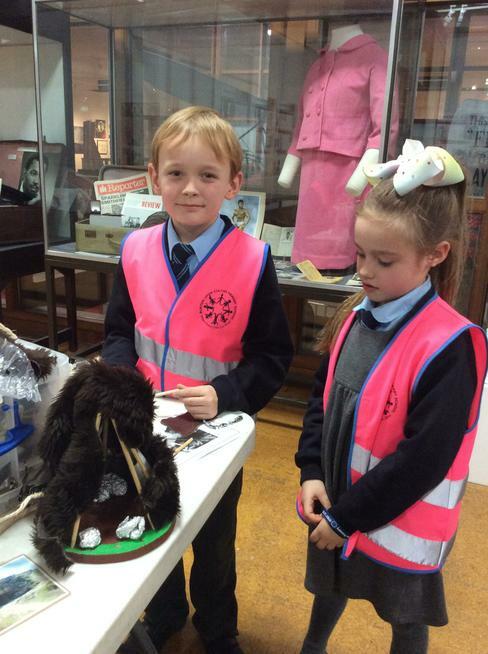 The children worked in teams to create a human timeline of The Stone Age. 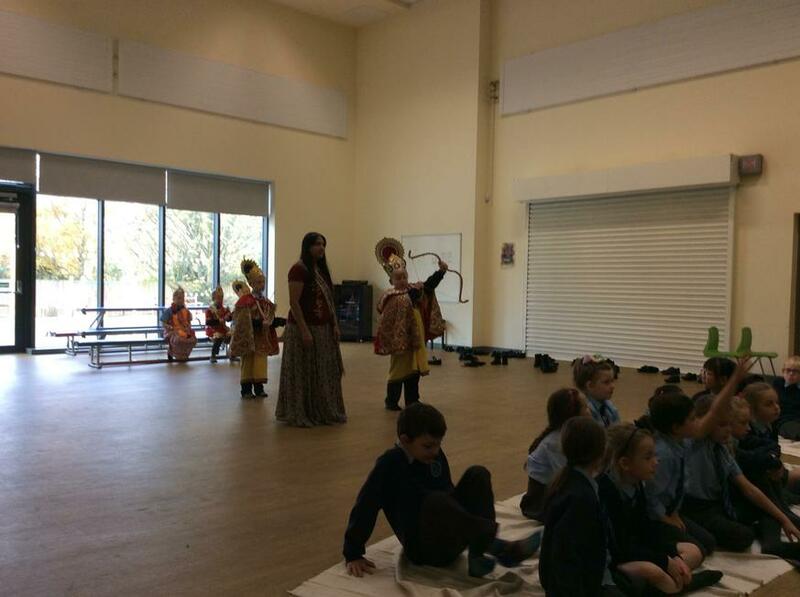 The children discussed how we put past events in chronological order and even explored the meanings of BC and AD!!! 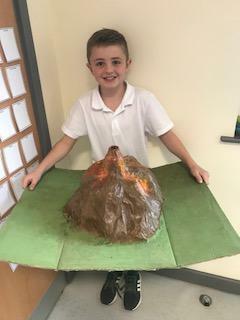 We had great fun setting off the erupting volcanoes made at home! 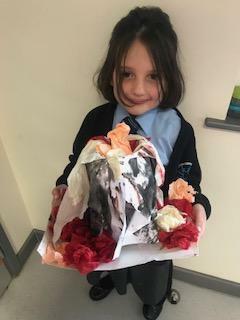 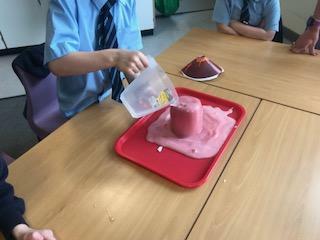 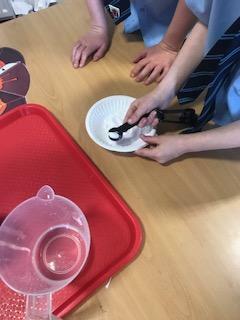 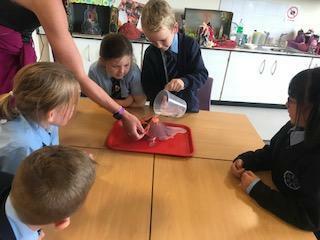 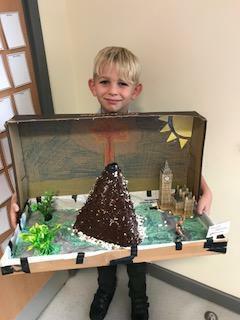 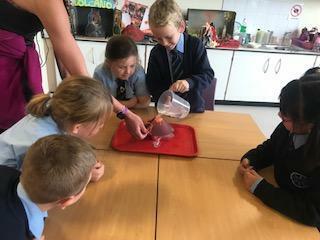 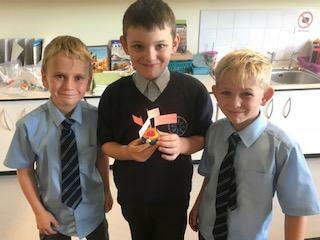 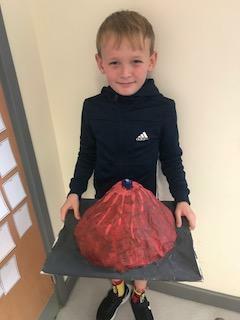 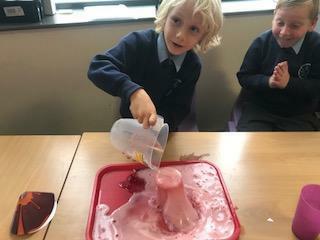 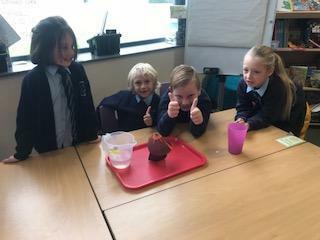 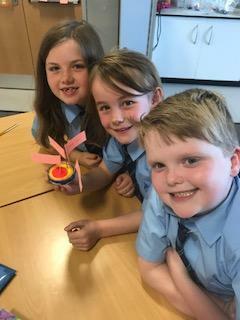 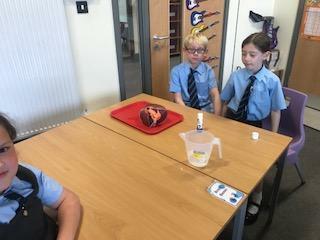 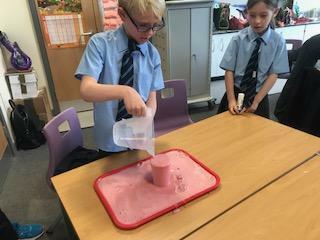 Year 3 made erupting volcanoes! 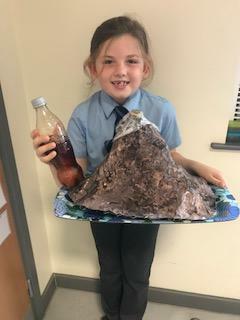 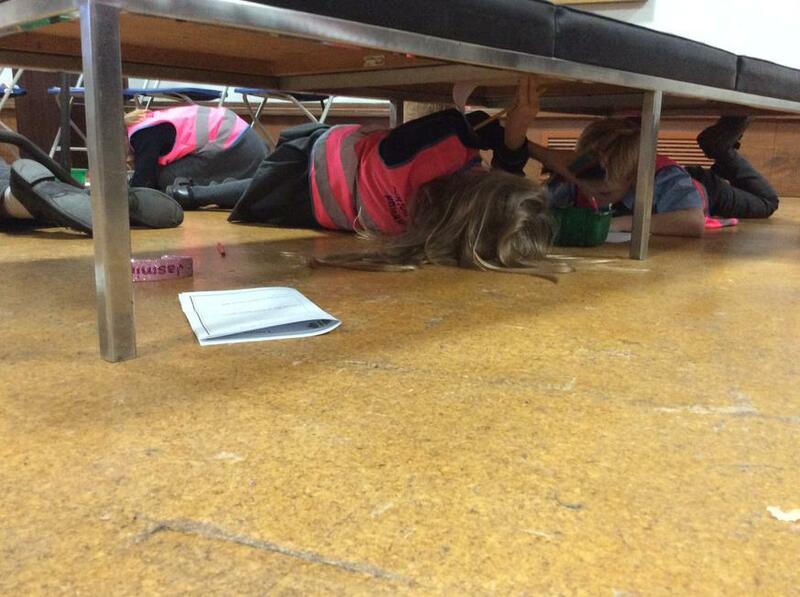 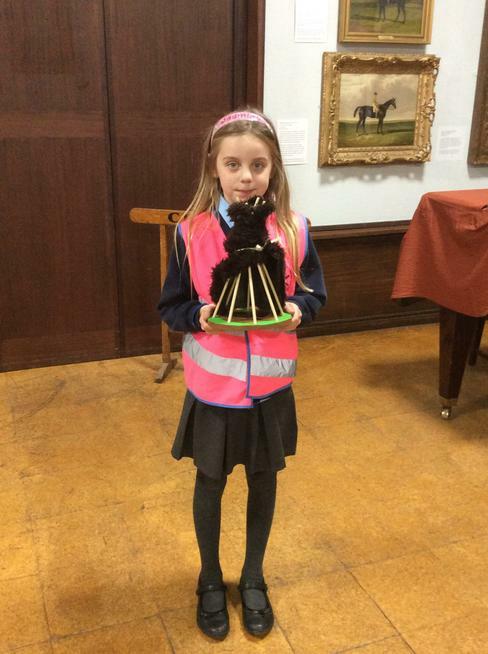 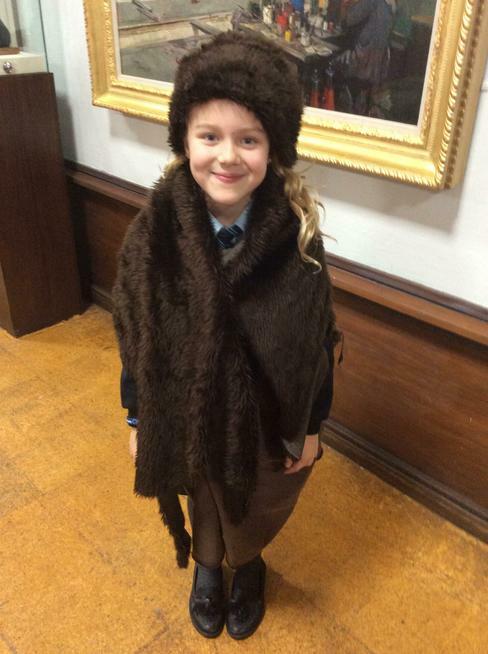 What a fantastic end to our 'Tremors' topic this half term. 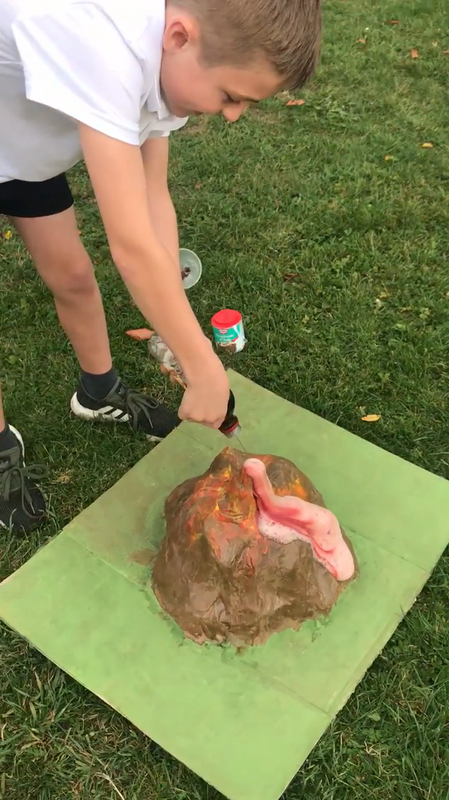 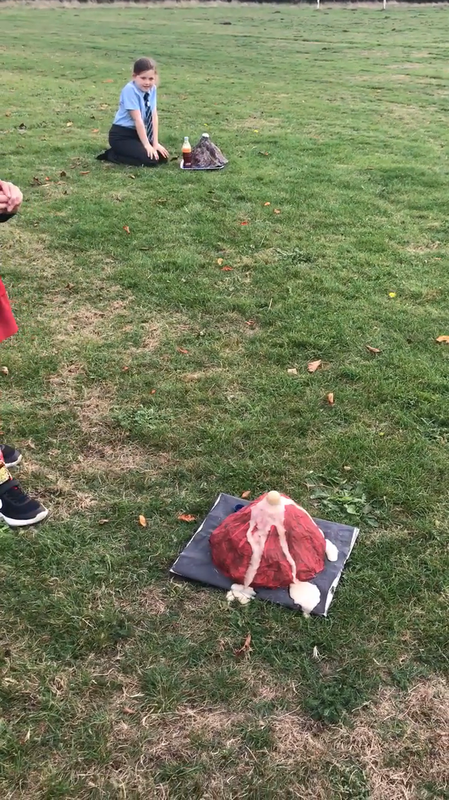 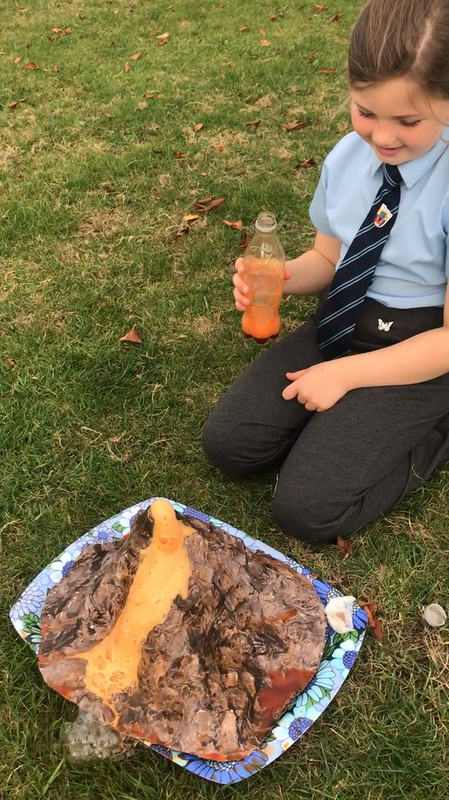 We spent this afternoon making erupting volcanos with amazing results! 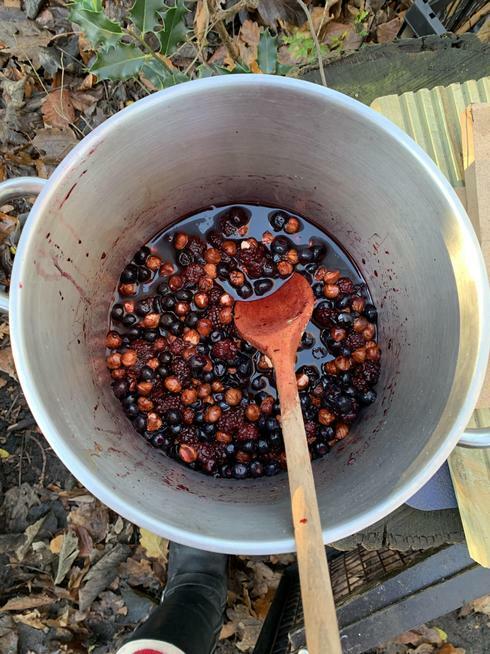 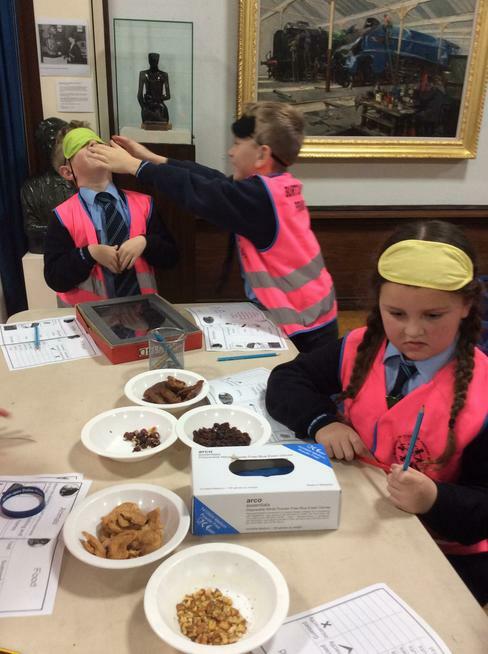 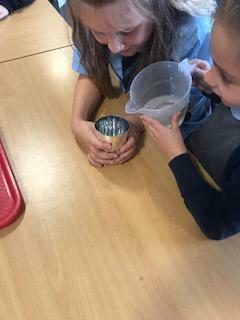 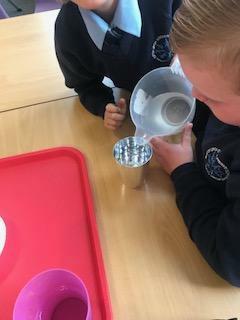 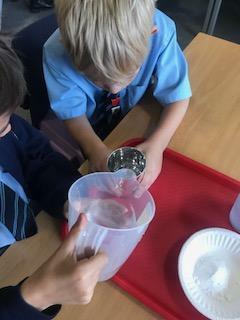 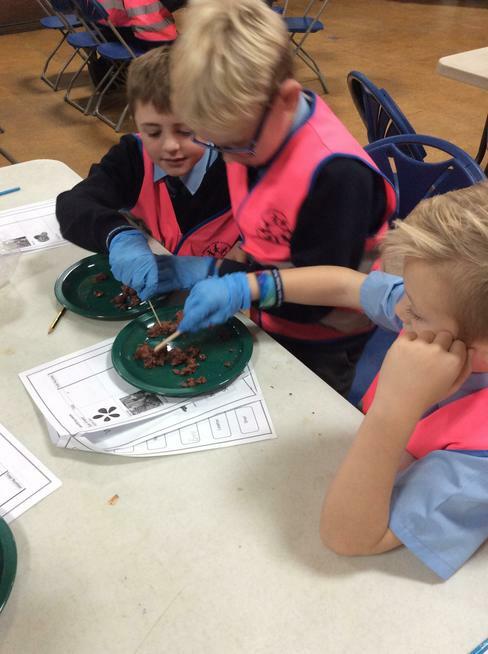 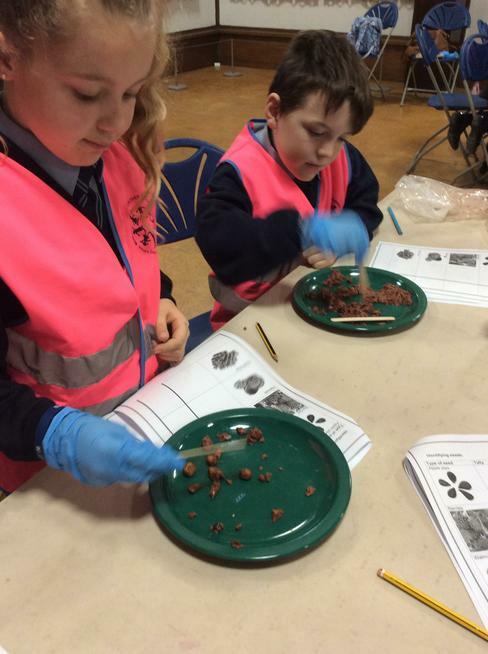 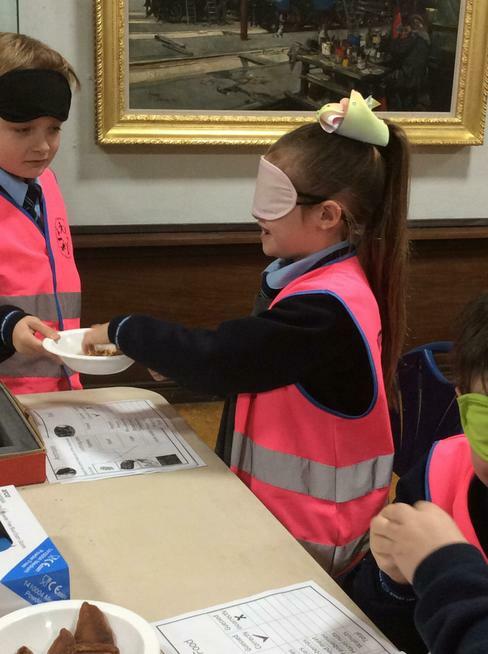 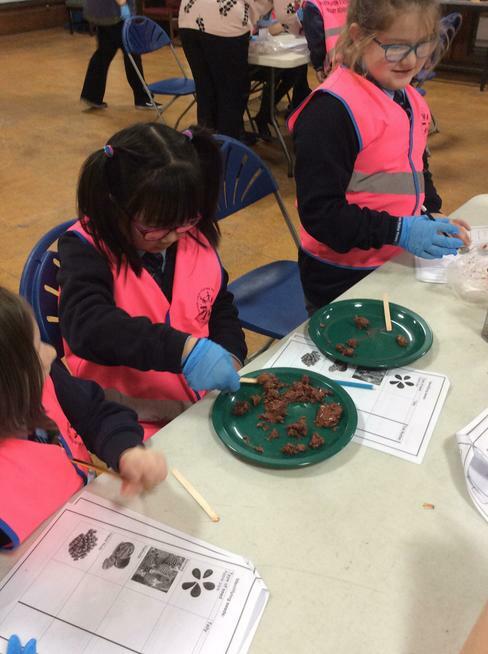 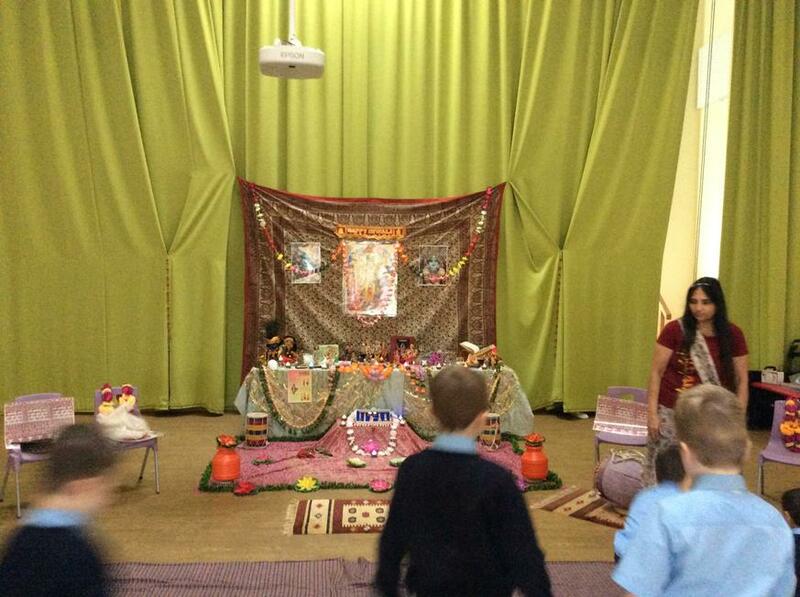 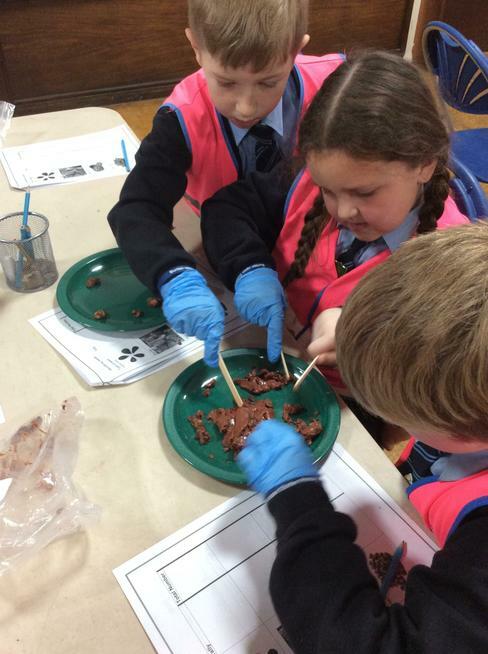 The children used their scientific, maths and team work skills to measure and combine all the ingredients needed. 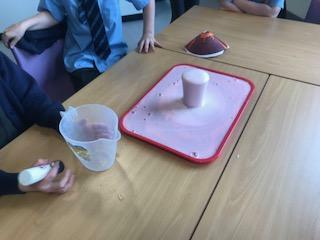 All of which resulted in fantastic chemical reactions! 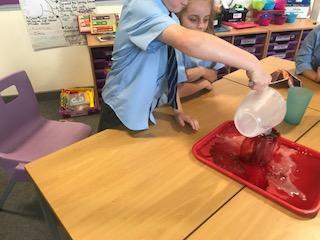 Kick starting our 'Tremors' topic! 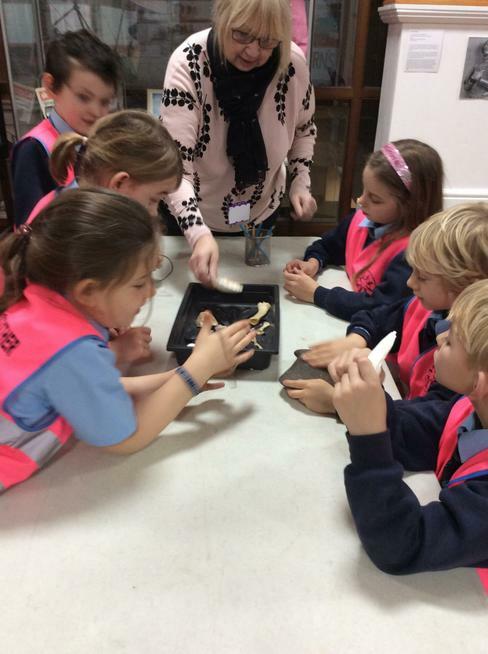 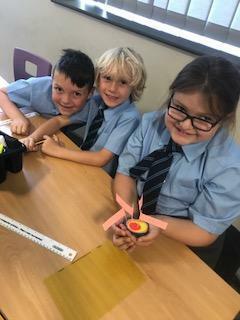 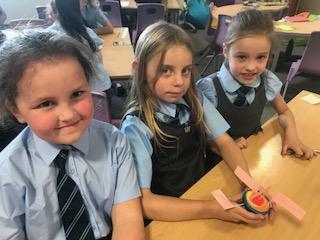 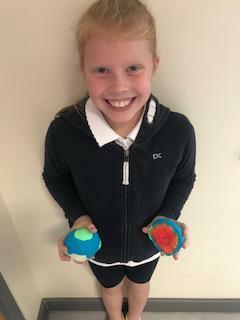 To start our 'Tremors' topic Year 3 have been exploring The Earth's layers using play dough. 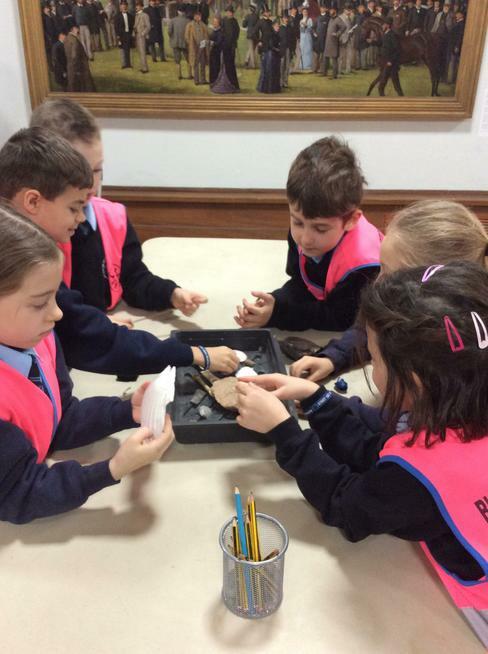 We started off by researching the Earth and looking at all the different materials and layers which it is made of. 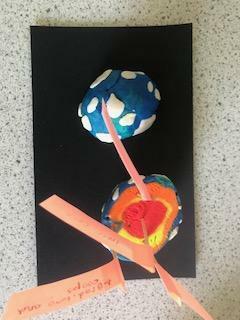 The children then worked in groups to make their own Earth, using different colours to represent each complex layer. 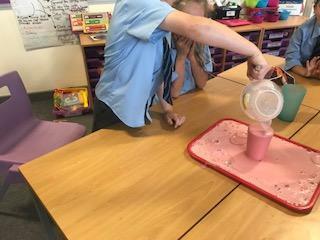 The results of this were fantastic. 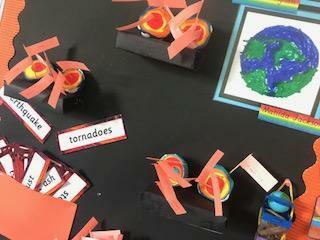 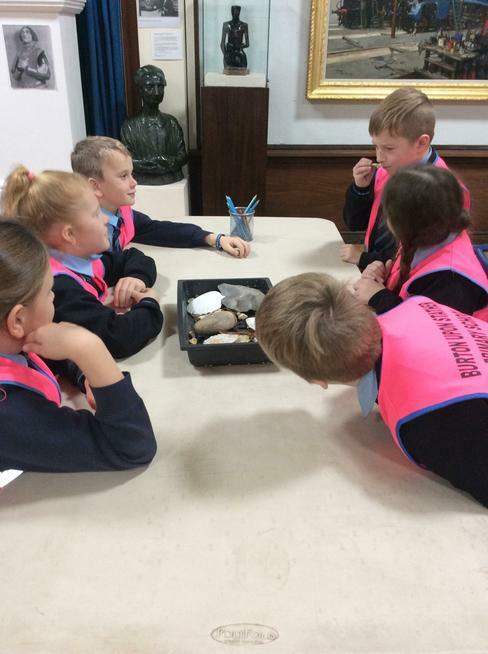 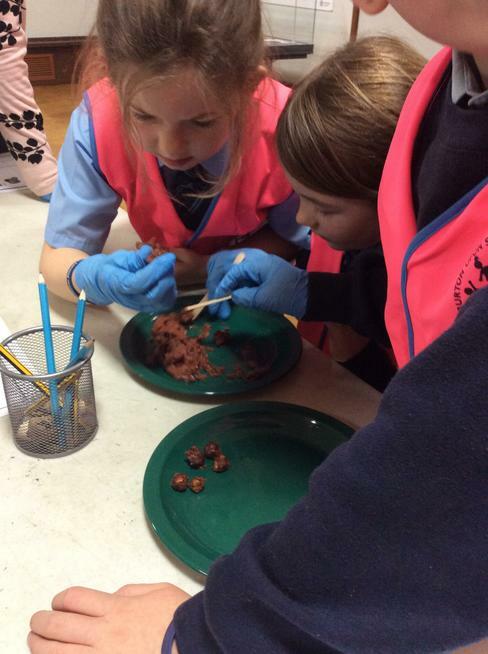 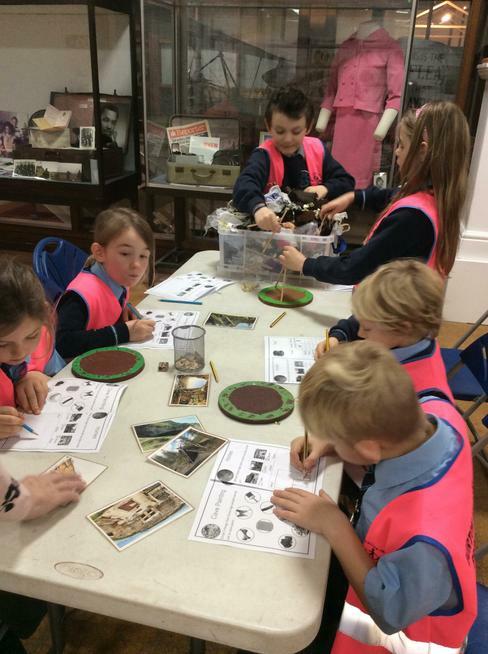 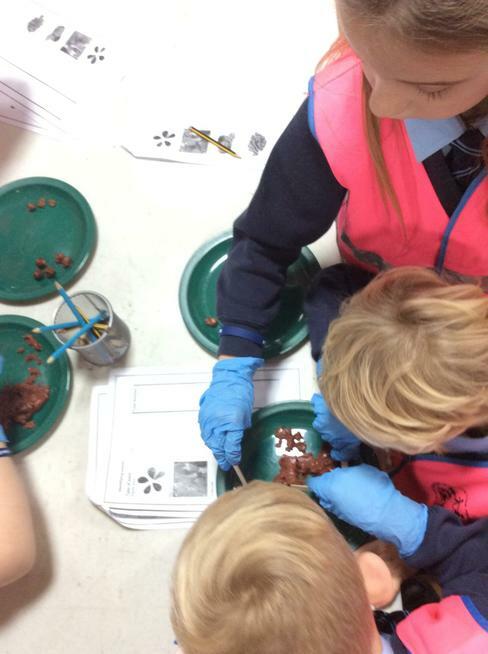 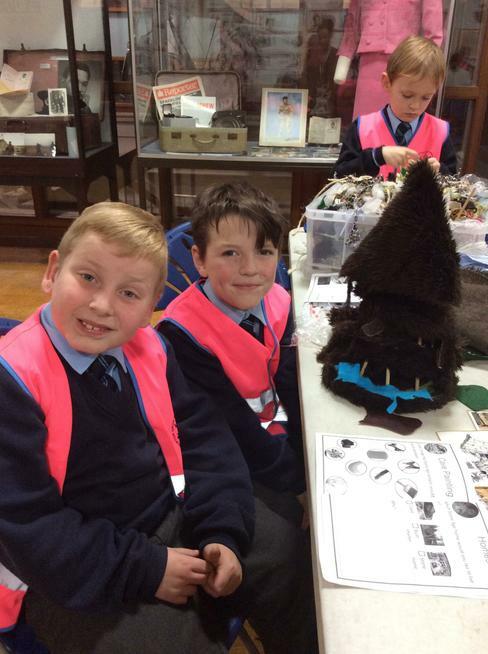 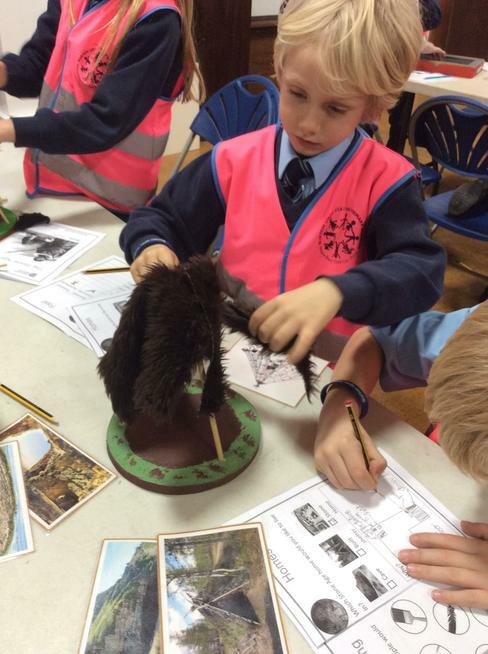 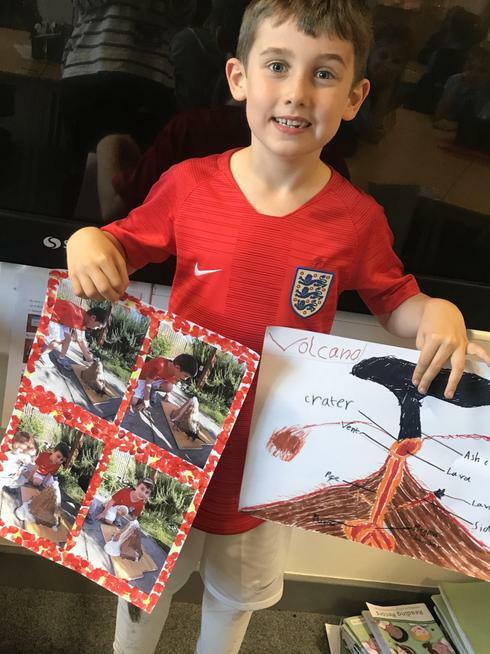 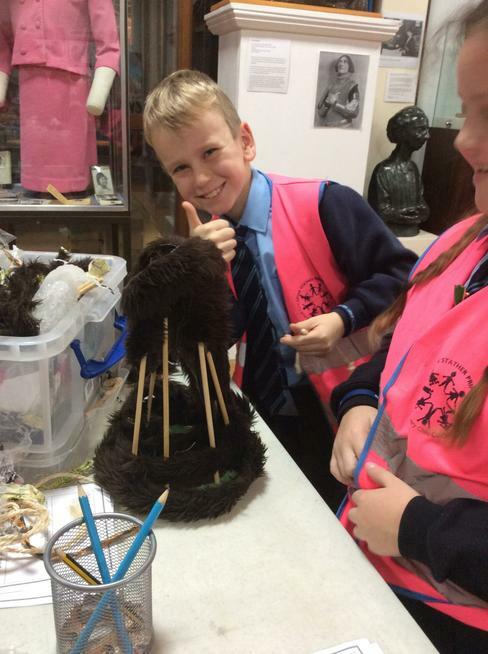 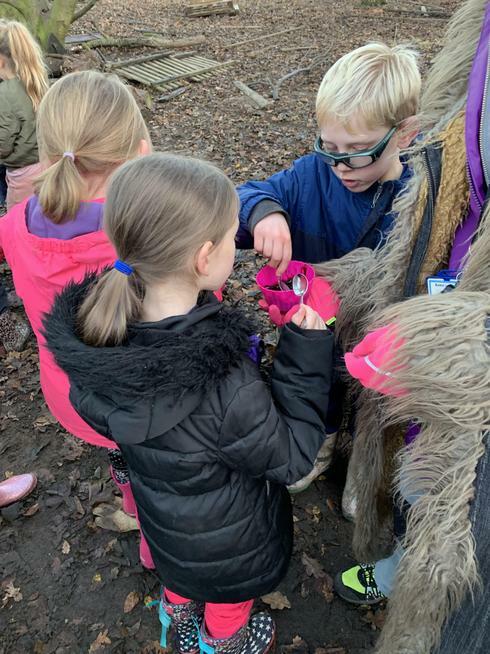 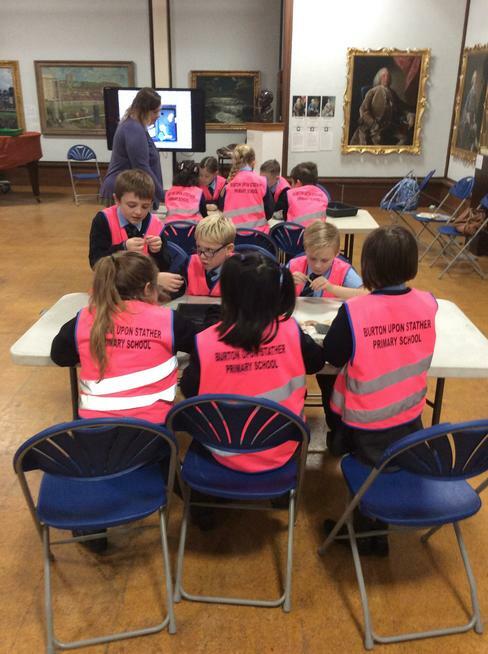 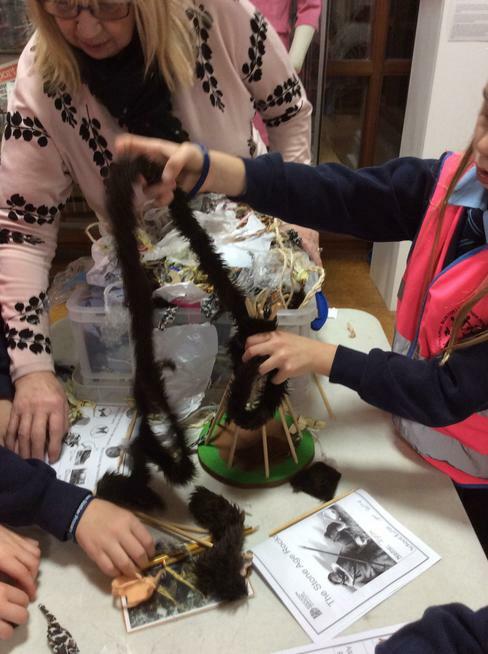 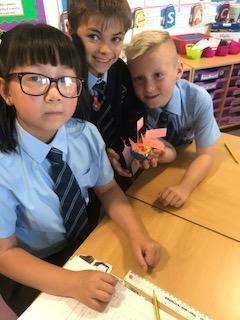 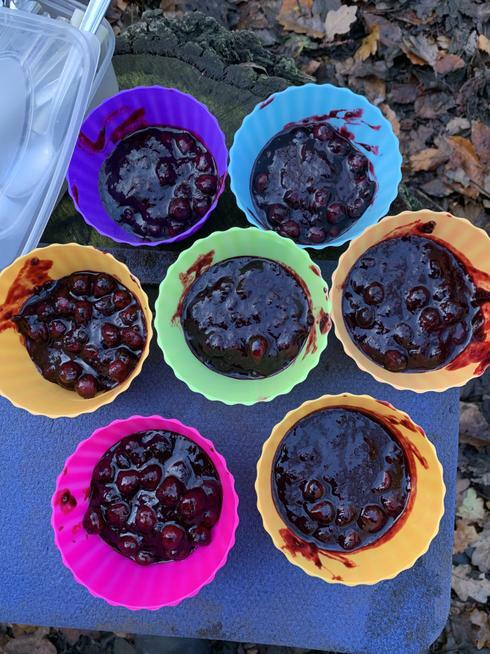 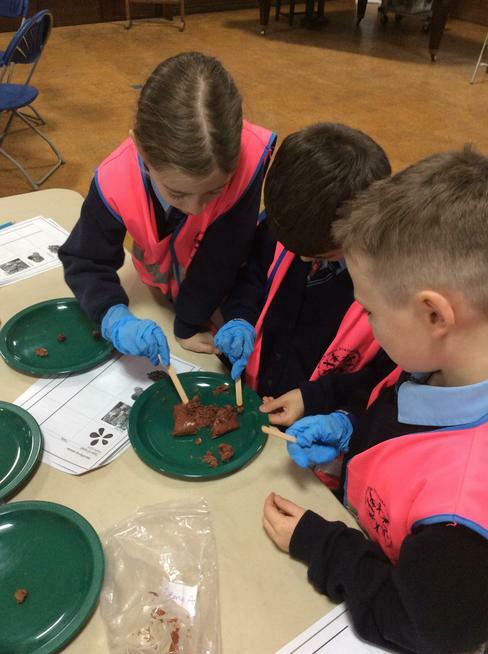 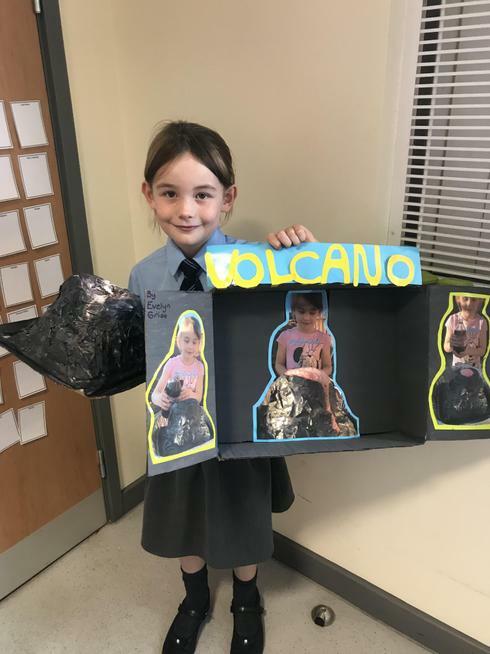 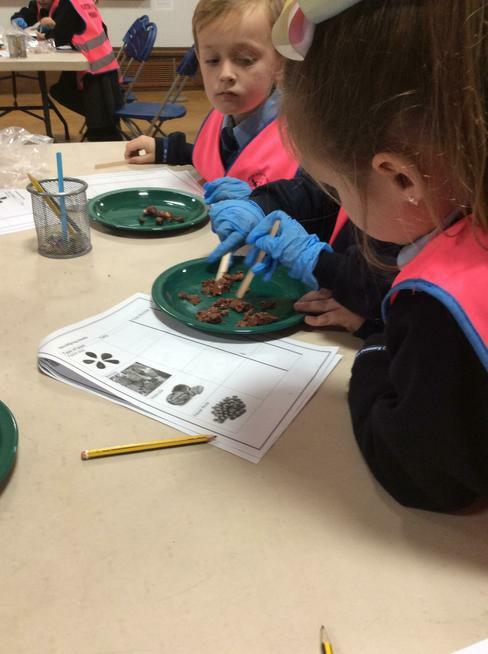 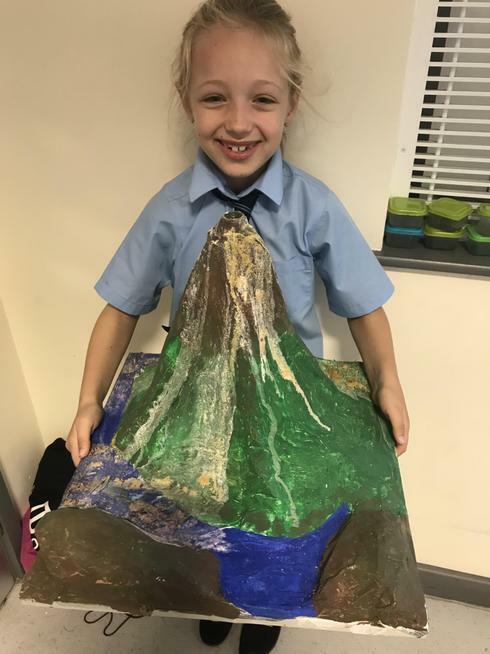 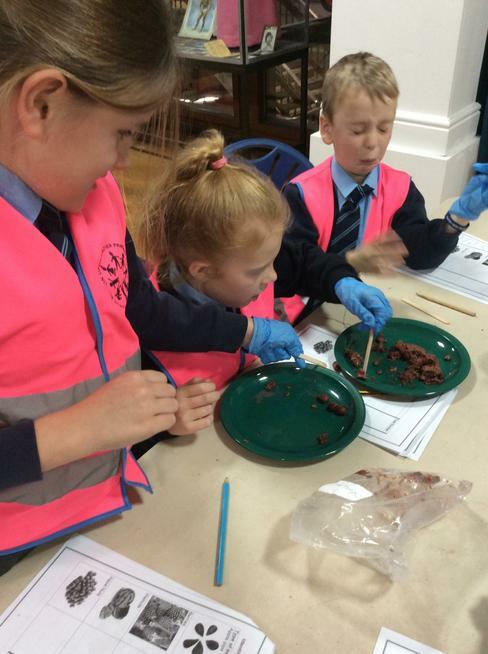 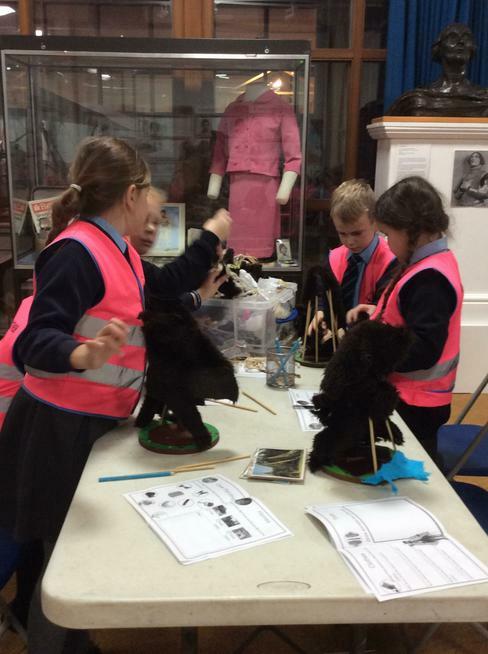 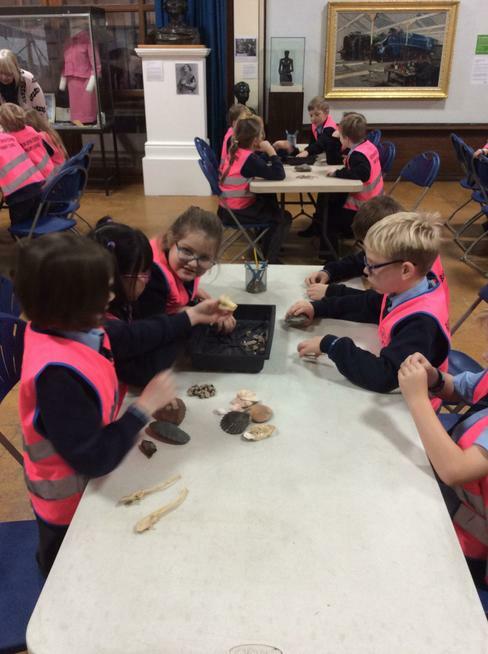 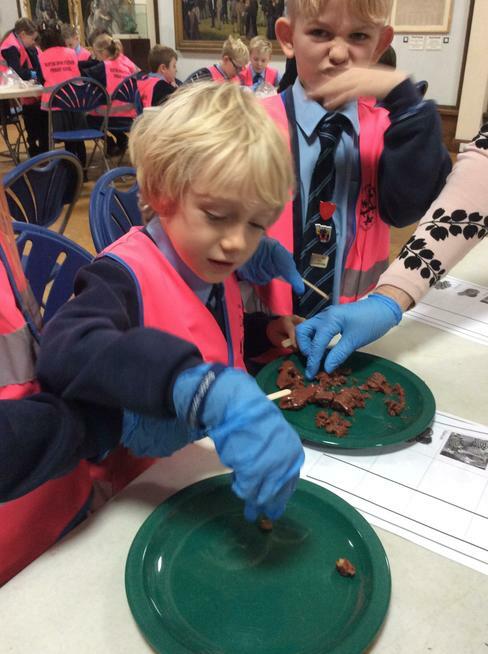 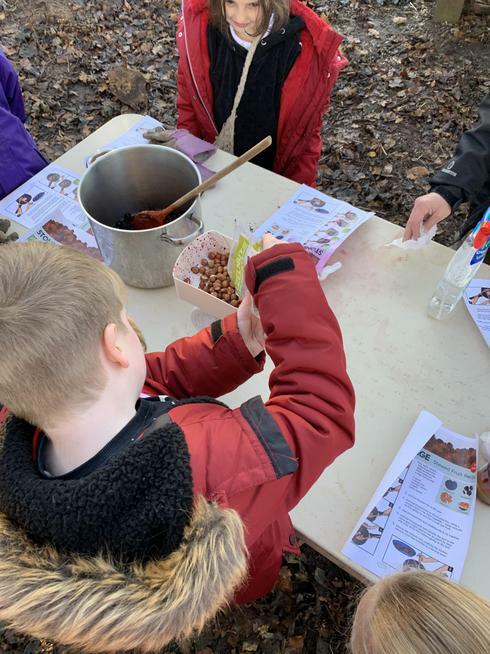 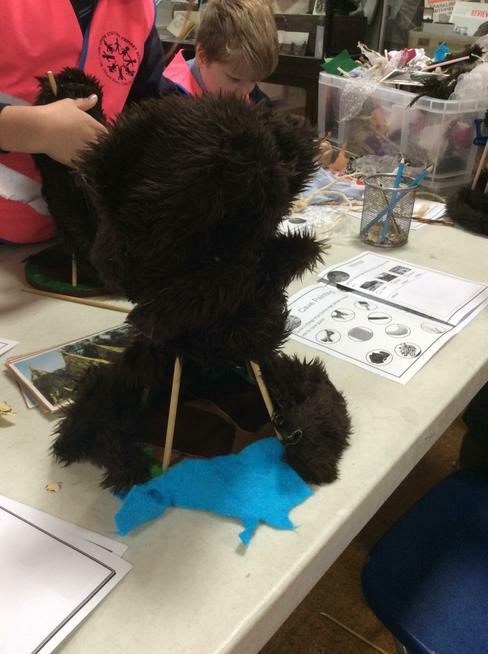 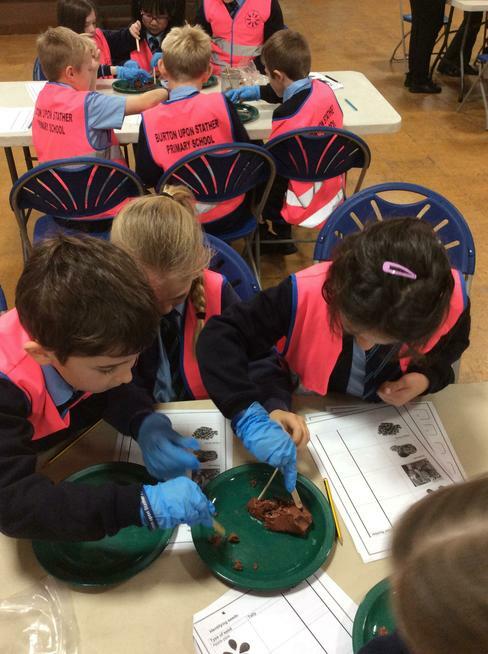 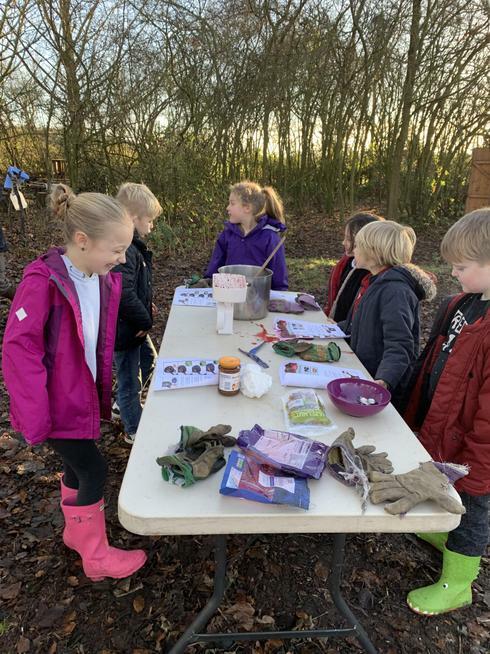 Not only did the children have an amazing time creating them, it helped further their understand of the complexities of the Earth in a fun and engaging way. 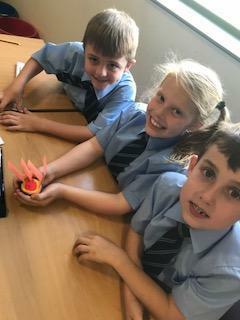 SUPER PROUD of their efforts and team work!